Overlooked Trinidad and Tobago forward Kerry Baptiste continued his brilliant scoring form with a double to lead North East Stars to a seventh consecutive Digicel Pro League win by defeating Morvant Caledonia United 3-1 on Tuesday night at the Hasely Crawford Stadium. The 34-year-old Baptiste scored on either side of the break – his second coming from the penalty spot – to put his league scoring this season to 11 goals from seven games in Stars colours and near a return to the top of the Pro League all-time scoring chart. Perhaps alerted by the danger, 32-year-old Devorn Jorsling who currently leads the all-time scoring chart after jumping Baptiste a year ago, scored the decisive goal – his first league goal in two months – in Defence Force's 3-2 win over Police FC in the second game of the Port-of-Spain double-header to put his all-time tally at 144 goals. But with Baptiste (142) just two goals behind and on an incredible run with two league games left, the rivalry between two of the league’s all-time top scorers has been renewed. 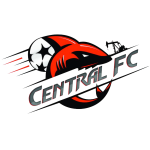 Defence Force (45 points) jumped two spots up the DPL standings into second behind leaders Central FC (52 points), but only ahead of San Juan Jabloteh (45 points), who have a game in hand, by goal-difference and one point ahead of North East Stars (44 points), who jumped a spot into fourth. 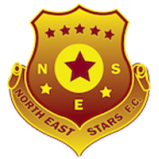 North East Stars, however, leads the DPL third round with maximum 21 points from 7 games and could be on their way to securing their maiden Kevon Carter (Round Three) trophy under coach Ross Russell. Baptiste fired North East Stars in front, 1-0, after 26 minutes, hitting past Caledonia goalkeeper Marvin Phillip from a rebound after the T&T national senior team shot-stopper had blocked out a blast from Anthony Guppy. Baptiste, who went close early in both halves, made it 2-0 in the 58th-minute by beating Phillip from the penalty spot after Guppy was brought down in the area by defender Leslie Russell. The former Pro League/Toyota Player of the Year was later denied his hat-trick by the crossbar in the 63rd minute after lifting an effort over Phillip, but boasts scoring in six of his seven league appearances for the Sangre Grande club since his return in the January/February transfer window from Central. 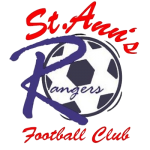 Caledonia, finding it difficult against the movement of North East Stars, turned to the introduction of new signing and former Stars’ forward Jomoul Francois – now at his third club this season after a brief stint with St. Ann’s Rangers – at the start of the second period and regulars Akim Armstrong and Robert Primus later on. But it was Stars’ substitute Chike Sullivan who replaced Baptiste with ten minutes left that celebrated scoring after just three minutes on the pitch. The former T&T youth World Cup midfielder made it 3-0 in favour of Russell’s men with a tap in after scramble and failure to clear by the Caledonia defence. 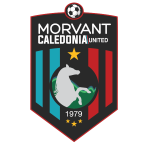 The ninth-positioned Caledonia did eventually find a consolation item when substitute Akim Armstrong’s header in the 90th minute clipped the underside of the crossbar before bouncing inside goalkeeper Glenroy Samuel’s goal for a 3-1 finish. 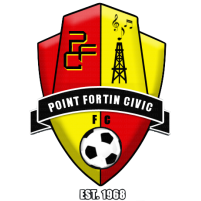 In the second game at the Port-of-Spain venue, Police failed to make the best of a first half one-goal lead in a feisty battle-of-the-forces which could have ended in a red card sending off of the Police defender Jibri Mc David. David had elbowed Hashim Arcia near assistant referee Caleb Wales but, infuriating the Defence Force bench, referee Marlon Perouse only flashed the yellow card to the defender. 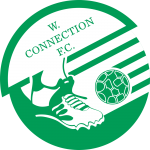 Clevon Mc Fee had given Police a 1-0 first half lead with a 13th-minute left-footed strike into goalkeeper Sheldon Clarke’s far netting after latching onto a pass in the area from Makesi Lewis. The goalscorer was denied a second three minutes later when Clarke matched his curling strike, directed at the far upper corner, with a one-handed save. 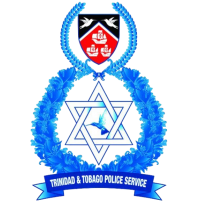 Police however allowed their marginal lead to slip a minute-and-a-half inside the second half when a deflected left-footed crack Hashim Arcia gave goalkeeper Kern Caesar little chance, putting the score at 1-1. It was the start of a miserable night for Caesar, who started in absence of first choice ‘keeper Adrian Foncette who is currently in Spain to witness Wednesday’s UEFA Champions League semi-final clash between Real Madrid and Manchester City via a Heineken (an official sponsor of the UCL) promotion. Caesar was beaten again in the 57th-minute when Defence Force winger Jemel Sebro poked a shot over the line for a 2-1 lead after the Police defence and ‘keeper failed to clear a low Ross Russell Jr. cross. 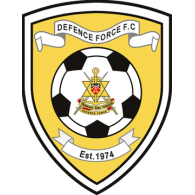 The “Lawmen” did manage to level the score 2-2 in the 67th minute when forward Jameel Perry hit low to beat Clarke after a Makesi Lewis caused some trouble for the Army defence. But two minutes later Jorsling snatched the game winner when he headed past Caesar from close up for a 3-2 Defence Force win after Glynn Franklyn had headed a Marvin Jones corner back across the area. 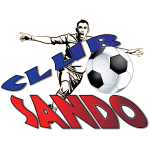 Elsewhere, Club Sando defeated Point Fortin Civic 2-0 in a bottom-of-the-table clash at the Ato Boldon Stadium. 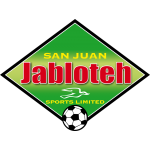 Devon Modeste opened the scoring in the 37th-minute and Jesse Downing completed the win in the 78th-minute to put Sando on 30 points in seventh where they will finish at the end of their debut DPL season, with Police on 37 points in sixth and Civic on 19 points in eight with two games left.